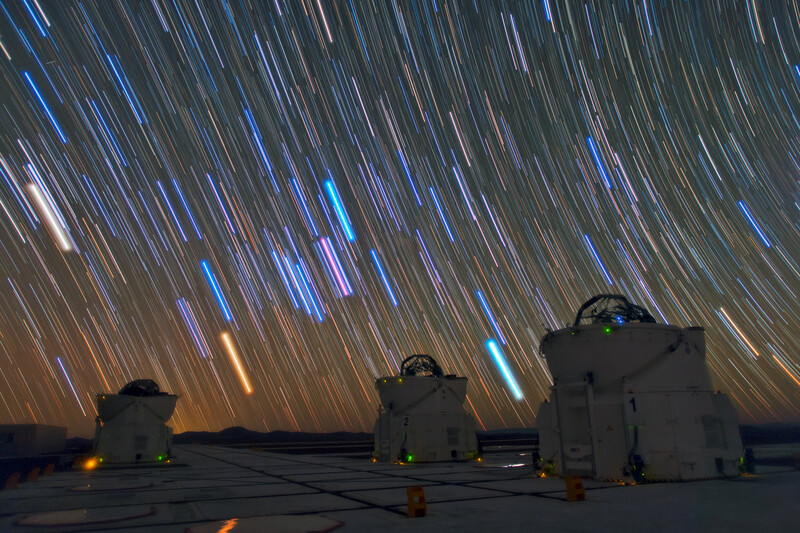 This image was taken by Babak A. Tafreshi, one of ESO’s Photo Ambassadors, at ESO’s Paranal Observatory. 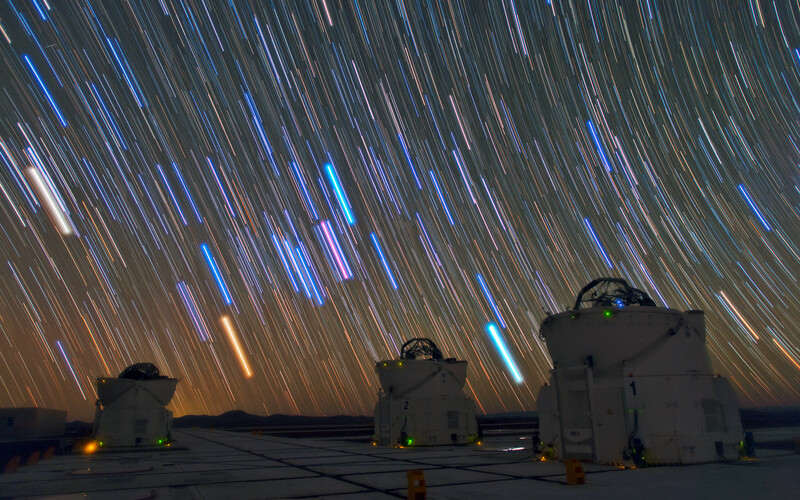 It shows three of the four Auxiliary Telescopes (ATs) of the Very Large Telescope Interferometer (VLTI). 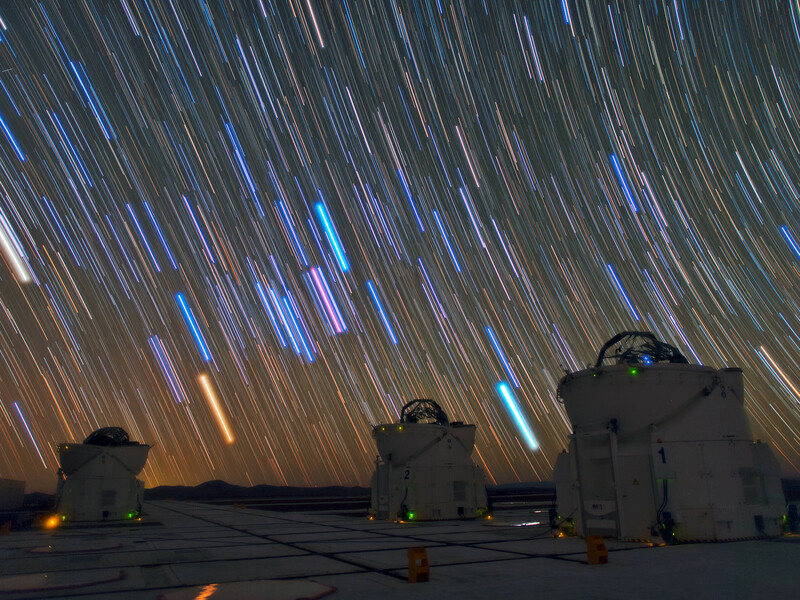 Above them, the long bright stripes are star trails, each one marking the apparent path of a single star across the dark night sky, due to the rotation of the Earth. This technique also enhances the natural colours of the stars, which gives an indication of their temperature, ranging from about 1000 degrees Celsius for the reddest stars to a few tens of thousands of degrees Celsius for the hottest, which appear blue. 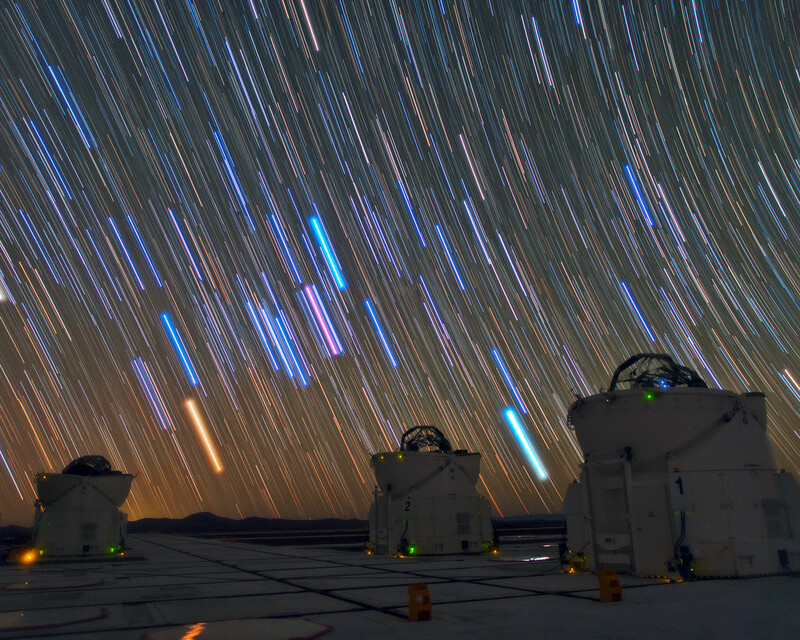 The sky in this remote and high location in Chile is extremely clear and there is no light pollution, offering us this amazing light show.